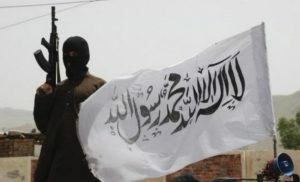 The Taliban militants group in Afghanistan rejected the group’s involvement in today’s deadly attack in eastern Nangarhar province that left at least 160 dead or wounded. Taliban spokesman Zabiullah Mujahid in a statement said the Taliban group has no role in today’s attack in Nangarhar province. Mujahid went on to claim that the group never attacks the civilian targets and strongly condemns attacks on ordinary civilians. No individual or group has so far claimed responsibility behind today’s attack in Nangarhar province. The provincial government media office in a statement said the incident took place in Dak area of Momandara district, targeting a gathering of the protesters. The statement further added that the attack left at least 32 dead while 128 others sustained injuries. The incident took place at around 1pm local time on Jalalabad-Torkham highway in the vicinity of Dak area as the residents of Shenwar area were protesting and a suicide bomber detonated his explosives near a tent where dozens of protesters had gathered, the statement added.